Coronado is a city located on the San Diego peninsula of Southern California and sits in a perfect coastal location. Access to seaports allows for industry to flow through the area with ease. Despite being mostly known as a resort city, Coronado offers some of the most established and successful industries in Southern California. Additionally, the residence of the U.S Naval Base and Air Station is responsible for continual growth to the area. It is important to have an attractive commercial building in order to bring in clients and business. The roof is an important element of this. There are numerous commercial and industrial areas across the city, so you want to make sure your development stand out. The area is growing in popularity every day, so with more and more people coming into town, make sure you have the best commercial buildings to offer. To do so requires having quality roofing installed and regular maintenance and upkeep. The best way to assure this is to work with a professional and quality roofing contractor. There are a few key tips to remember when it comes to choosing your commercial roofing contractor. Pricing is important and should be and we understand that you have a budget to work with. However, you should remember that you will get what you pay for. Often low pricing is indicative of cheaper materials and labor so you may not get the most quality roofing. This means you end up paying more for repairs and replacements in the long run. This does not mean that you need to go with the most expensive quote either. You should collect a few estimates and then evaluate prices alongside the reputations of the contractors to make an informed decision. There are professionals that offer quality work at reasonable prices; you just need to look for them. There are people and companies out there that will come and knock on your door after any major storm in the area. They will attempt to convince you that your roof needs work. As tempting as it may be, you need to avoid these services. 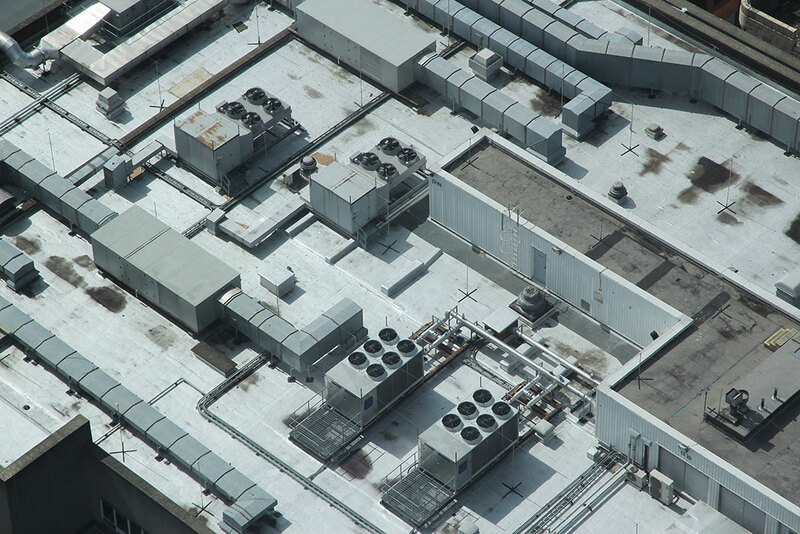 If you are genuinely concerned about the safety and condition of your commercial roof, seek put a qualified contractor and schedule an inspection. Not only can they provide you with an accurate assessment but they will also have licenses and insurance to back up their work. One of the best ways to evaluate a potential roofer is to research them online and read the reviews of previous customers. Be sure to check out comments and reviews left on their website as well as those left on other forums. Since they can control what information appears on their site, it may be biased, so check around to get a full account. The good thing about previous client reviews, is that they will honest whether it is good or bad information. The best results for your commercial roofing project will come from a company that has experience as well as a solid track record. You want to work with a company that has longevity within in the industry and experience with the location you reside in. The Better Business Bureau offers ratings to help guide you toward higher quality providers. Always do your own research to evaluate how long they have been around and if they have a number of successfully completed jobs on their record. The way your commercial building looks is very important to your success as well as the success of potential clients, so make sure the roof is in top condition by working with a qualified company. Do you need a Commercial Roofer in Coronado CA?